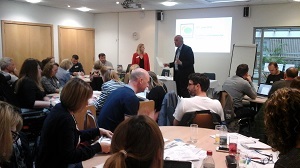 This approach has been welcomed by the 13 primary schools involved in the pilot. As Carolyn Ellis-Gage from Norwich Road Academy said: "My pupils are really enthusiastic about the training and love working through and gaining the badges!" “Children and young people have the power to help create a kinder online community and we want to harness their passion and knowledge to enable them to be role models for their peers and younger generations. It has been inspiring to see the huge range of activities delivered over the last year by Childnet Digital Leaders in secondary schools across the UK. We are now very excited to announce the launch of the programme for primary schools which we developed and tested with the involvement of 13 primary schools across the UK." Childnet, as part of the UK Safer Internet Centre, is in the process of creating new guidance for schools about preventing and responding to cyberbullying, as well as accompanying teaching resources. This work is supported by the European Commission and UK Government and will be launching in early 2016. In developing this work, Childnet is looking to find examples and ideas of what schools are doing to prevent and respond to cyberbullying so they can share best practices with schools across the UK. They are inviting school staff to complete the following short survey which should take about 15 minutes. 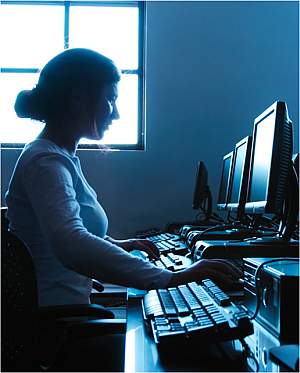 You will have the opportunity to add your school’s name to the national cyberbullying guidance for schools. If you have any queries, please contact education@childnet.com. Childnet recently announced that registration is now open for Childnet’s exciting new peer-to-peer education programme for secondary schools! Launching in September 2015, the Childnet Digital Leaders Programme aims to empower young people to champion digital citizenship and digital creativity within their schools and to educate their peers, parents and teachers about staying safe online. 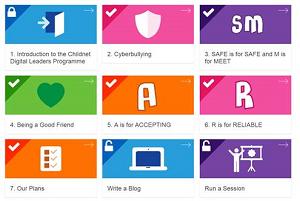 The programme, which is part of Childnet's work as the UK Safer Internet Centre, will offer pupils structured training and ongoing support from Childnet’s expert team, helping make e-safety learning fun and effective and ensuring that schools deliver an outstanding whole school community approach to e-safety.